Jeska, welcome to the end of the multiverse. Jeska hates swamps. She's never been to one she's ever liked, so it's too bad that her return to her home plane of Dominaria has to begin in Urborg. But her mentor Karn has been gone too long and this is his last known location as far as she knows. She recognizes both Teferi and Jhoira from Karn's descriptions, and she'll have to ask Teferi how can it possibly be that he's no longer a planeswalker. If their conversation doesn't end badly that is. 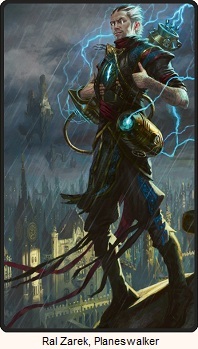 As for this new person... he isn't quite like herself, but she's not like normal mortals either. But first things first. They all hesitate to respond, but it's Teferi that breaks the awkward silence after a quick glance towards Jhoira. He says they don't know. Teferi's smile did not change. "I'm sorry?" "What do you know? Did you see him at all? Or talk to him?" Teferi's features grew slightly more tense. He glanced at Jhoira and said, "Both." Additional answers are just as terse and not at all helpful. This is getting her nowhere. She's a planeswalker. 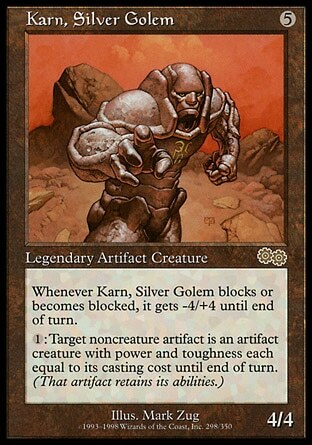 Karn communicated directly from mind to mind all the time. It should be within her own abilities to do the same. She tries, but all three of them are too guarded in their own unique ways. 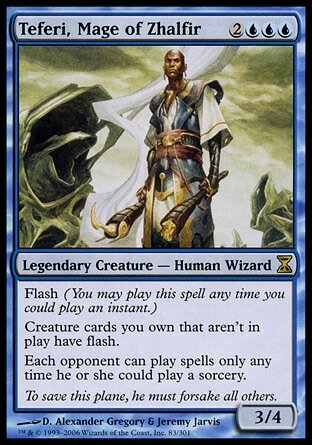 In Teferi she sees a flood of information that he shares all at once. It's too much to sort through. In Jhoira, all Jeska's able to glean are respectful greetings, concern for Karn, and a wish that no one be harmed. Everything else is locked tightly away. 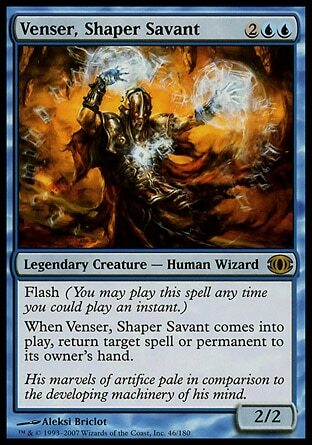 And in the other, she can see his name is Venser, but his mind has been too recently traumatized and is still healing. Forcing her way in will cause much harm and Karn would no doubt disapprove. Jhoira steps in and tries to tell her that all they know is that Karn answered her call for aid, helped them with their problem, and then he disappeared without letting them know where he went. She doesn't understand why he hasn't contacted them yet, any of them, including Jeska herself. Jeska is quick to rebuke her. She's not one of them. Until she's understand what's going on, she is not allied with any of them and none of them are safe from her. Venser steps forward and says he was the last to see Karn, and if she tries to enter his mind again he won't resist. She pounces on the opportunity before he changes his mind and sees into his memories. She learns about the trip through time, leaves of the problems with the rifts, and hears Karn's last words and the panic in his voice as heard by Venser's ears. It is true. They don't know where Karn is. All she wants to do is find him, but it's also true that Karn would likely want her to help with the mission. 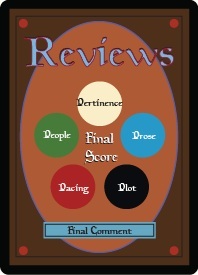 She decides to give them a chance to share all they know before deciding which course of action should be her priority. I can't say that I've warmed up to her personality. 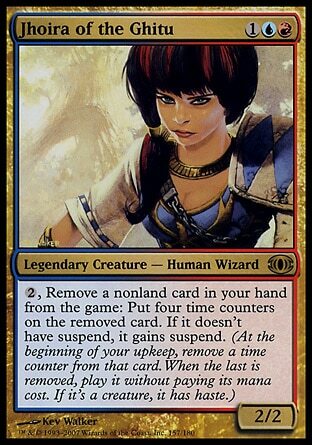 She's very much like Radha, but in planeswalker form. The difference here is that she's been trying her best to learn from her polar opposite in Karn, whereas Radha was most definitely her own person. It's been so long since I've read the Odyssey trilogy, so I can't say if her personality is at all consistent, or even really remember all the events she's been through back then, but I'm sure all the important information will be brought up within this book. I also assume that's her on the cover. She seems to have had a hair cut since she ascended. 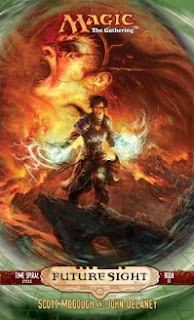 So FYI, on the cover, it's Jhoira in the foreground, Jeska in the background. 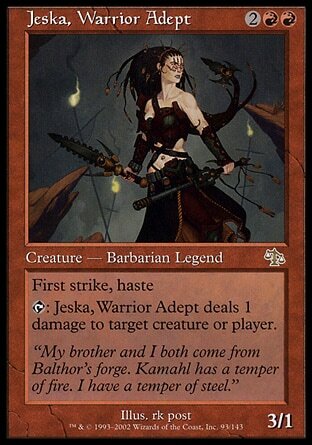 To recap a little bit (both to jog your memory and for the benefit of any other readers), Jeska was introduced as Kamahl's sister back in Odyssey. In Onslaught, after Kamahl mortally wounded her while under the influence of the Mirari (the guilt prompted his shift from red to green, but that's another story), she was revived and corrupted by the Cabal's black magic and became the evil Phage the Untouchable. In Legions, she merged with Akroma (and some other random lady named Zegorka) to form Karona, the False God, an embodiment of Dominaria's mana or something like that. And when Karona was defeated in Scourge, Jeska's spark ignited and she re-emerged as herself again, un-Phaged and planeswalker-fied. Then she left with Karn to explore the multiverse under his guidance. And that's where we stand with Jeska--the important bits, anyway. Ohhh, that actually makes sense when regarding the cover art... I suppose? Although now that throws me off. It seems clear that Jeska is the new "main" character... but maybe the cover's telling me that Jhoira may be even more important than her. Considering that Jhoira's the one that's been around since the beginning, that's not necessarily a bad thing... the only problem is that she isn't a planeswalker so it'll be interesting to see what she can do to help out this whole situation as I get deeper into this. (And while it's hard to not remember Phage and Karnoa... Zagorka? Well it's sort of a pattern that all three books have a mortal in the front and a 'walker in the back, I guess.